Convergence. This was the trendiest and most overused term in journalism lectures and newsrooms in 2011. The term was born from the invasion of digital media, and the fear the missing out on opportunities to merge online with print would result in a breakdown of the system. Much like the dawn of Y2K when everyone freaked out about computer systems starting from 0 again, or that time the ANC was about to win the first election when everyone bought tins of baked beans in bulk and stored them in makeshift bunkers. In a nutshell, convergence basically means that previous media technologies, like print, for example, merge with new media forms due to digitisation and computer networking – like online news websites, Twitter and Facebook – for example. Convergence also challenged and threatened the idea of breaking news. If everyone was tweeting about everything as and when it happened, what would happen to the front page the next day? Breaking news became broken news and so the only way to beat them was join them, failure to do so could also lead to the economic breakdown of media properties. Rumours of newspapers shutting down were rife, and still continue to be, and strategies to monetise sister websites became a race to the death. The South African media industry is tiny, and its pockets even tinier (in some cases, the distribution of wealth is ridiculously unfair – some editors earn over R100k a month while their photographers, for example, take home R6k per month without benefits, so there’s that) – so who knows why they shut down, but they do. Quite recently a publisher responsible for a host of glossy magazines shut down because of bad debt, a lot of people lost their jobs, the editors are fine, they’ve made their money but the skilled people they employ are not. This happens often. Large media conglomerates who have monopoly over the market often start things on a whim and then just walk in one day and fire everyone. “It didn’t work. Sorry. It’s your last day”. The young lose their jobs and the old golden boys are saved and recycled within the company. If this is the trend, where is the opportunity? And if there is no opportunity, where is the future of journalism? Where old faces remain, there also lies old ideas, old methodologies and old agendas – like the perpetual front pages of the myth that is white genocide, for example. One of the things companies do to keep their publications sustainable is to create paywalls, this is when people who pay for access to the website are the only ones who can read that websites news. This, of course, has benefits, it can create a culture of good journalism, because a culture of quality is cultivated. But then, of course, we do live in a time where the media still sets the agenda, but the platform controls access – which means that these comment sections become a breeding ground for backward discussion that no one else has access to except likeminded individuals who exist to perpetuate their own rhetoric – which unfortunately in our case often means racism, bigotry, homophobia etc. A lot of the public won’t know that the discussion board is monitored and that editors use these discussions as bait for front-page news on popular Sunday papers. It is a dangerous, dangerous weapon. The World Wide Web was created 30 years ago, by South African standards, the idea of media convergence surfaced about 8 to 10 years ago, but it’s not working. The system is broken. An estimated 90% of media revenue in publishing houses still comes from print media. These profits are not high as it is. If jobs are already being cut in newsrooms, new graduates have little hope of being employed at all. We need fresh minds for fresh and important coverage, but are we selling the future of journalism a lie? 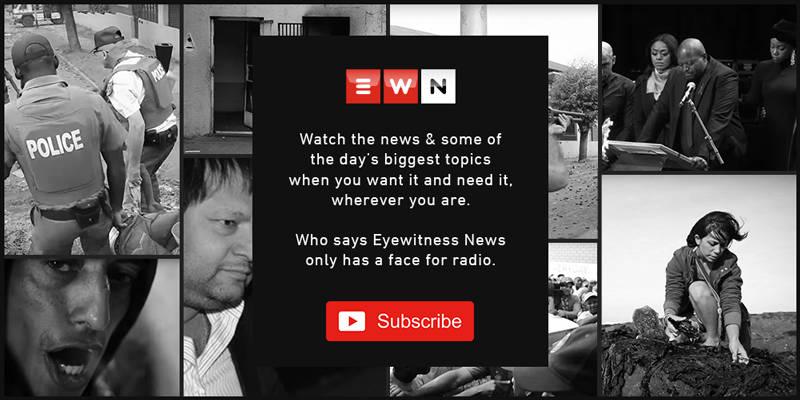 The media and general public, in these trying times, are obsessed with media freedoms and the worry of the news falling prey to state capture, but the truth is that wealthy companies have been captured by their own editors and owners through political motivation and advertising pressure – which is an ethical monster on its own. It’s eight years later, and South African newsrooms and tertiary institutions are still singing the same song. “Technology is changing everything”. “It’s not good enough to just be a traditional journalist anymore”. “You have to be able to tweet and write for online and take videos and post pictures”. “Digital media has so many opportunities”. “When you go out into the professional world you will find yourself well-equipped as a new generation of journalists who are ready to change the face of media and in fact… the world because you will have all these opportunities in newsrooms”. But here’s another harsh truth, while skill can be distributed equally, opportunity isn’t. And so we’re left with an industry that has not figured out how to properly converge and a media economy that that offers little in the way of employment, and even less room for innovation because those who can change things, will not get paid enough, employed or have sufficient tools to try.